It's the end of May and the end of the first full month of Language Freak Summer Challenge! (BTW, the sign-up is still open, see the link at top of the sidebar!) How was you reading this month? How many books in how many languages have you tackled? What are your further plans? Share your experience! As for me, I have finished only one book in Spanish so far, but I have had exams this month, and right now I'm on a conference in Vancouver, so I hope I will be more productive in the following months! We are pretty cool, aren't we? =) Go check them out, especially if you share the knowledge of the language! I'll read the last ones I caught in my feed after my return from Vancouver, which will happen in the beginning of June. If I find more reviews by the end of the month, I'll update this post, so you still have time to write them! If I've forgotten someone's review, please don't hesitate to drop your link in the comment section below! Have a nice June with a lot if reading in foreign languages!! This amazing book made me cry for an hour yesterday night, although I was supposed to be asleep or at least to be prepared for the ending. But I still cried because even though you have an idea how things were at that dismal time in that dismal part of the world, reading Zusak (or should I rather say Death?) telling it is a very different thing. Yes, Death is a narrator in the book, and a very implacable one. Usually the first thing the reader knows about a character is that he will die soon. And that is one of the things that make this book so amazing: you know it all from the beginning. You are not expecting miracles, you are not expecting anything, actually, but you keep reading not for the ending, but for the words. Words play a great role in the book. Words is what matters most in the end: they can form a nation, they can kill and humiliate, but they can also support, console and save lives. 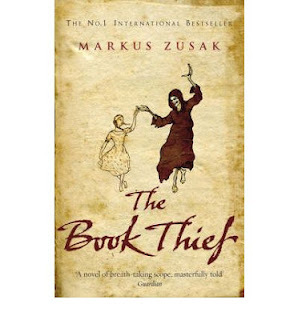 Liesel learns reading from her foster father, which makes them close friends, and she keeps reading through repressions and war, and her reading calms people in the bomb shelter, brings a dying man back to life and helps the ones who have lost someone to the war live further. Although most of the characters are known to die soon, they seem more than alive through the book. The reader is invited to meet people living on Himmel street, a poor area of Molching, Germany in the times when Death had a lot of work to do: 1938-1944. And it takes all this time and even more to really understand who is who deep inside. 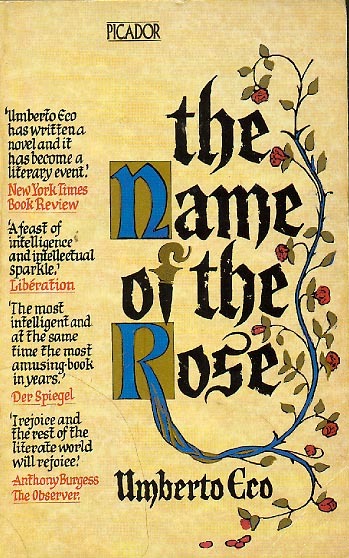 And thanks to the imaginative and compelling language and composition of the book, this exploration is fascinating. Please don't be put off by this humble review and don't discard this book as too grim and depressing. It is not. The book puts everything right and the consolation is there is you look carefully. And looking carefully is what you should really do with this book! He elegido leer Harry Potter en español porque es un libro ligero a bien conocido para mi, y nesesito algo ligero y conocido para practicar español, que he empezado a olvidar. No puedo decir que Harry Potter y la cámara secreta es mi libro preferido de todos los series. 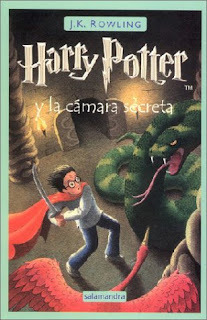 Es un poco triste, porque es el primer libro, en que Harry sintio el cruel opinion publico - todos piensan, que el es un heredero de Slytherin, el patrono de basilisk y el asesino. Tambien existe injusticia a Hagrid: esta trasladado a cárcel por lo que no habia hecho. Pero me gusta el basilisk, la idea de la camara secreta y el diario que puede vivil a si mismo! 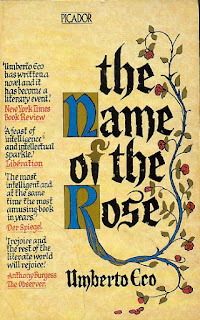 He leido este libro en ruso y en ingles, pero en español esa historia tenia mucho mas encanto. Me gusta el traduccion de los encantos y pociones (el pocion "multijugos", por ejemplo), y "el cumpleaños de muerte" es simplemente perfecto! I've never read anything by Vickers before, and the first experience was a good one. He definitely knows how to build a good story. 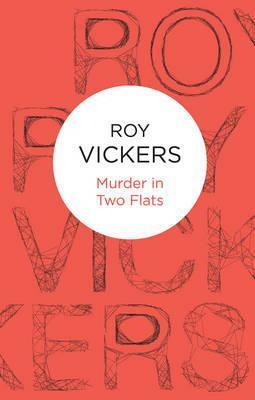 The plot of this one spins around two murders that happened at the same time, in two flats on the same staircase, and probably by the same person. Although there seems to be no possibility whatsoever for the murderer to do this, as a worker was on the landing in front of one of the flats all the time, and the murderer was not able to leave the flat. So the reader has not only two murders here, but also a closed room problem, my favourite one. There are two main and opposing characters here, who also happen to be friends: a professional detective, Curwen, and an amateur, who is also one of the suspects, Stanton. Curwen is a realist and an advocate of methodology. He is sure that somehow the case will be solved and is usually reluctant to follow all Stanton's energetic ideas. Stanton, on the other hand, is very active, comes up with suggestions and organizes a revealing meet-up of the suspects in the end. Very classy. I must admit that the characters are not very deep. Take Stanton - he is rather rude, drinks and seems to attract all the women, especially the ones which cause a lot of problems. But he is of course rather charismatic. Nothing that you can't find in any other mystery. And the same with the other characters. But somehow for me it was an advantage rather than a nuisance, as I'm really bad at remembering characters, and making them so recognizable helped me to concentrate on the case. All in all, an entertaining and relaxing read, although a bit scary at times (but this is good, right? :)). It was really nice to take a trip to the world of vintage mystery, without computers, cell phones, etc. I'll definitely be looking out for some more of Vicker's mysteries.